Canadian companies say they waste C$10 billion a year dealing with unnecessary “red tape.” That’s almost one-third of total compliance costs of C$36.2 billion. Even though small businesses are seen as the engines of job creation, they bear the heaviest burden. Companies with less than five people pay C$6,744 per worker just meeting regulations. Even a sole proprietor in Canada must use at least three different tax numbers (SIN, GST/HST and CRA BN). Starting a new business is like navigating a maze with three levels: local, provincial, and federal. A helpful checklist on starting a business in Canada offers 60+ links to explore. All this red tape frustrates entrepreneurs and governments alike. An ambitious project started by the government of British Columbia (BC) aims to lighten that burden. The project pulled together small teams from BC, Ontario, and the government of Canada to fight red tape using decentralized identities and trusted credentials. The first project to emerge is OrgBook BC, an online directory that makes finding authentic and authoritative data about companies faster and easier. This helps reduce the time to do due diligence on a new supplier or client from hours down to a few seconds. And that’s only the first step in an ambitious plan to help governments everywhere streamline their services using verifiable data powered by Hyperledger Indy, an open-source blockchain framework. 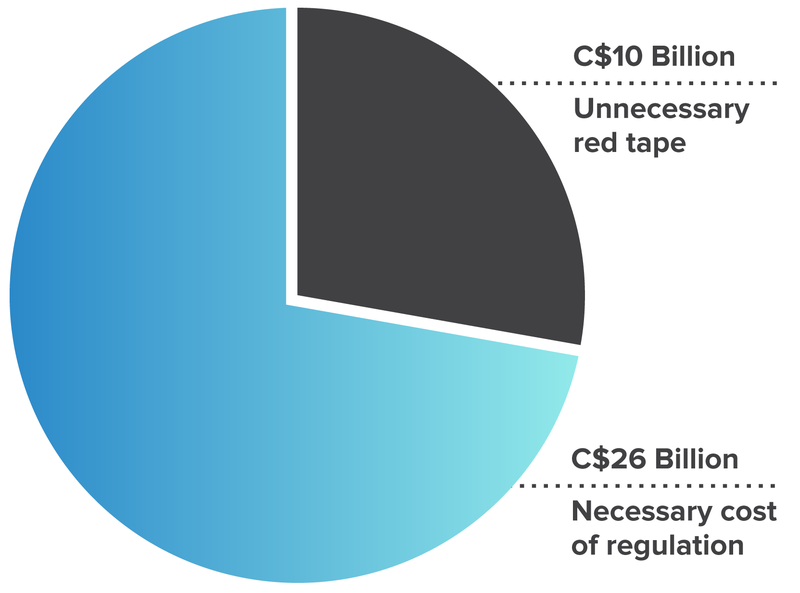 Nearly one third of the C$36 billion cost of regulation in Canada is unnecessary red tape, according to the latest survey of Canadian companies. British Columbia is the West Coast province of Canada that includes Vancouver. For years, BC has been committed to open government. For example, more than 1,000 datasets assembled by BC government agencies are free for anyone to use. Yet dealing with many government services is still slow and old-fashioned. For example, doing due diligence to check on the legal status of a prospective client or supplier can take hours, including an in-person visit to the closest Service BC office. “Can we create a quick and easy way to navigate through the maze of services from your local, provincial, or federal governments?” asked product lead John Jordan when he worked for the federal government in Ottawa. Among the people intrigued by this question was Carol Prest, Executive Director of BC’s Registries and Online Services. BC’s business registrations were already public. Could this demo project unlock the strategic value of an existing database, sort out the technical issues, and showcase how to streamline a government service? In fall 2016, Jordan moved to BC to make that happen. He and a few colleagues—including Peter Watkins, Executive Director of BC’s Office of the CIO—sketched out a bold vision. The Verifiable Organizations Network (VON) would assemble a software stack, open-source it, and encourage everyone to use it until the network effect took over, like it did with the telephone or AirBnB. At that point, business people with government-issued digital credentials could save hours filling in government forms. And any government agency could shorten or eliminate forms, improve the accuracy of its data, and streamline its processes. “Can we create a quick and easy way to navigate through the maze of services from your local, provincial, or federal governments?” asked product lead John Jordan. From the earliest, Jordan et al realized that working with others would be better than going it alone. So they joined forces with like-minded people in Ontario, Canada’s most populous province, and Ottawa, Canada’s capital. The first thing they tackled was a nagging chicken-and-egg problem. On the supply side, government departments weren’t aware of the potential to issue verifiable digital credentials. And on the demand side, businesses didn’t have anywhere to store or use those credentials. The team wanted to assemble a software stack to bridge that gap and enable government departments to issue and use digital credentials, just as they issue physical permits and licenses today. And instead of holding month-long planning sessions, they chose to work in Agile sprints that allowed the solution to evolve as they learned. Jordan estimates BC spent about C$1 million while Ontario and Canada each spent another C$300,000 to C$500,000, mostly on salaries for a handful of developers. But why spend taxpayer money to develop code and then give it away as open source? “We’ve got a $2 million investment that we’re all benefitting from, and we didn’t have to pay $2 million, right?” answers Jordan. “So we actually saved taxpayers millions of dollars.” He notes that the larger team had richer ideas, delivered code faster, and tested it more thoroughly, so this collaborative approach benefited everyone. BC’s “open by default” philosophy encourages a shared approach by asking government service designers to consider open source first. This approach leverages the millions of dollars invested in open source by the global community. 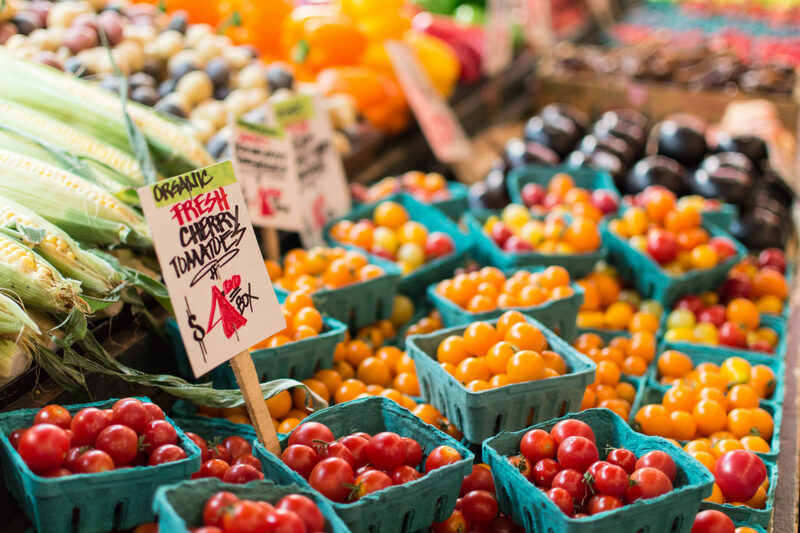 The VON software stack can cover a wide range of use cases beyond government services, such as professional associations that register members, standards groups that certify food, or businesses that need their facilities inspected. The VON team set out to explore how blockchain technology could reduce red tape. So the team did an early proof of concept for the business registry with Hyperledger Fabric. Then they found Hyperledger Indy, an open source framework that provides tools, libraries, and reusable components for decentralized identities. It supports self-sovereign IDs controlled by individuals that work across organizations and silos, eliminating the need for multiple passwords and logins, and enabling business people to control who sees what information. All this was ideal for VON. “When we looked at Indy, we realized the public ledger is there already, so we don’t have to worry about that part of the operation,” said technical lead Stephen Curran. Those things include Hyperledger Indy-based components that make it easy for government services to verify and issue digital credentials. 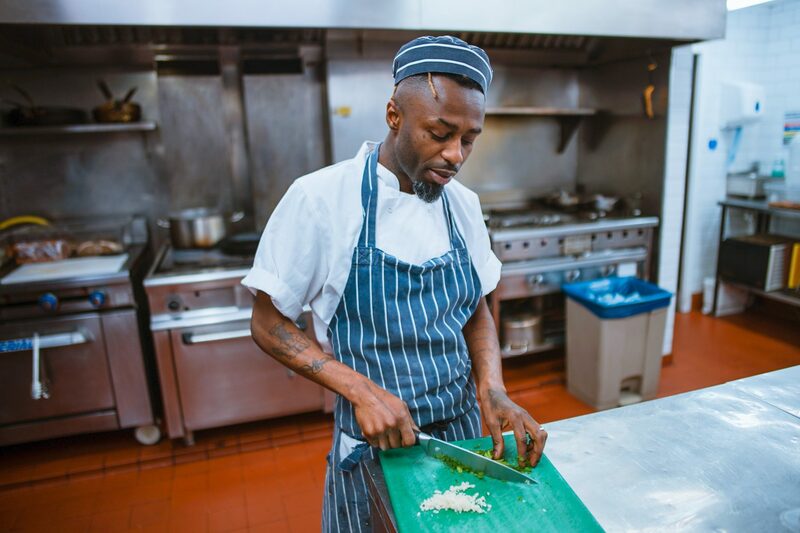 The VON team wanted to cover a wide range of use cases beyond government forms, such as professional associations that register members like doctors, nurses, or engineers; standards groups that certify food as organic or kosher; or businesses that need to prove their facilities have been inspected. The team needed a platform open enough to accommodate that vision, yet structured enough to minimize their efforts. They found it in Hyperledger Indy, which reduced their requirements for coding, cryptography, and blockchain network admin. Using the VON software stack based on Hyperledger Indy, any government service can issue digital licenses or permits for businesses like Mary’s Eco Tours. And anyone can verify these digital licences and permits by checking the OrgBook for their jurisdiction. But not everything came right out of the box. The initial releases of Hyperledger Indy supported digital wallets for individuals with a fairly small database and a single write connection. But the VON project needed more: an “enterprise wallet” that could hold millions of credentials, handle numerous connections, and support efficient searching. In other words, the team needed to scale up Hyperledger Indy. To get started, early in 2018 the BC team offered a C$50,000 “Code with Us” challenge through the BC Developers Exchange, a lightweight procurement method that helps the government work with smaller developers. The winning developer created a PostgreSQL database that met the design requirements and could plug into Hyperledger Indy. But they discovered a wrinkle: When any credential holder was asked for a proof, the Indy SDK retrieved every credential of that type from the wallet. That worked fine for an individual’s wallet. But with the enterprise wallet, returning millions of credentials for every query would quickly exhaust system resources. To expand the SDK, they asked the open-source community for help filtering through a mass of credentials. The performance of most blockchains is measured in transactions, but OrgBook BC is different, since no transactions or credentials are stored on the blockchain. The most likely bottleneck would be meeting many concurrent requests for credentials. 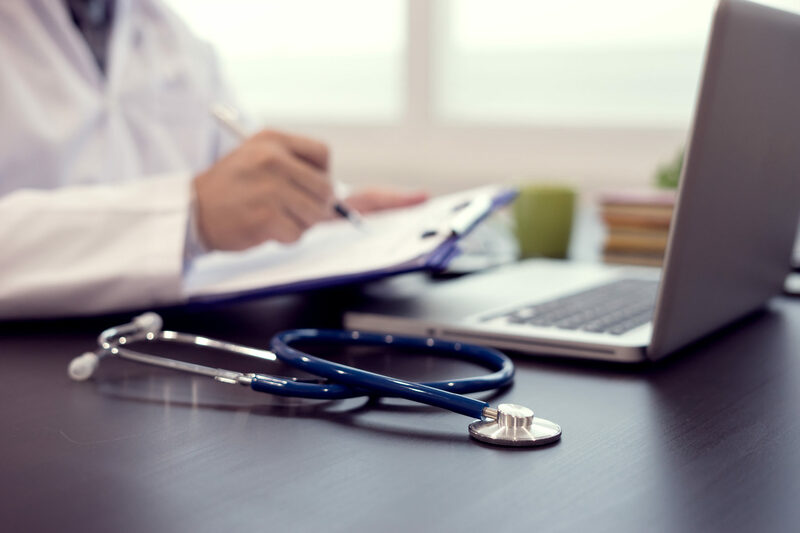 With these new contributions in place, the developers optimized the system to issue 2,600 credentials a minute, more than enough to keep up with demand. The VON team contributed the code for the enterprise wallet back to Hyperledger—proof that the “open by default” approach works well for governments. “We see the proper place for our code is with an open-source organization with the stability and good governance of the Linux Foundation,” said Jordan. As OrgBook BC took shape, the team realized it solved problems that occur in most jurisdictions around the world. The team proposed a new sub-project called Hyperledger Indy Catalyst, with the idea that this would help promote the global adoption of the software stack. According to its docs, Hyperledger Indy Catalyst “is a set of application-level software components designed to accelerate the adoption of trustworthy entity-to-entity communications.” In other words, it’s a new set of capabilities built on top of the existing framework to help governments and enterprises anywhere quickly set up a system for verifiable credentials. In this example of how the VON can operate, (1) Mary, registers her eco-tour business and receives a digital incorporation credential. (2) Now Mary needs a loan for a new tour bus. When the bank’s online loan service asks for proof of incorporation, she presents her digital incorporation credential. Using Hyperledger Indy-based software, the bank verifies Mary’s credential and (3) completes the loan transaction. 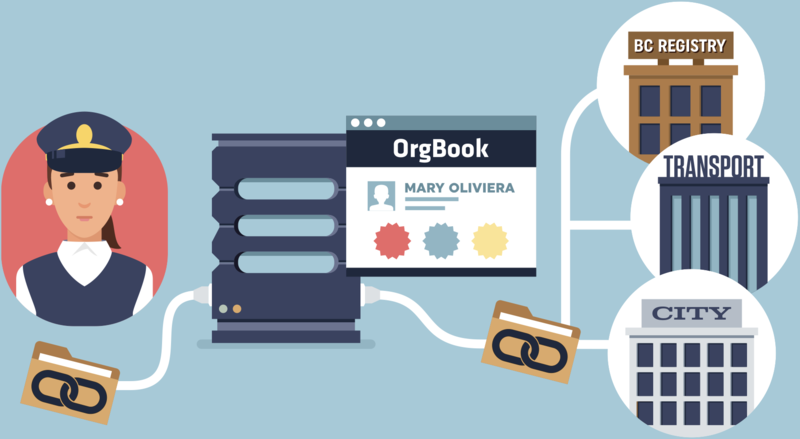 OrgBook BC went online as a public beta in 2018 and was officially announced in January 2019. While this is the first project from VON, many more are on the drawing board, including related systems from the Ontario and Canadian governments. Reaction has been very positive. Jordan and his team intend to grow OrgBook BC by adding more services from the BC government. But that’s not all. They’d like to help BC’s 160 municipalities that issue permits and licenses, most of them small towns with limited IT skills. Eventually processes could be simplified into visual flowcharts that show every permit required in the proper order, with only a few clicks to submit each one. A subscription service could even alert business people when other companies merge or are acquired. To promote the VON solution, team members attend conferences, give workshops to developers, and speak to people from many other jurisdictions. Jordan said the response is enthusiastic. Multi-lingual support is already included, so we can expect to see other governments and associations around the world adopt this system. And if all goes well, the red tape problem may be dramatically reduced, thanks in part to Hyperledger Indy. Using cutting-edge blockchain technology, OrgBook BC supports the province’s goal to streamline and modernize services for British Columbians as part of its broader Digital Government Strategy. 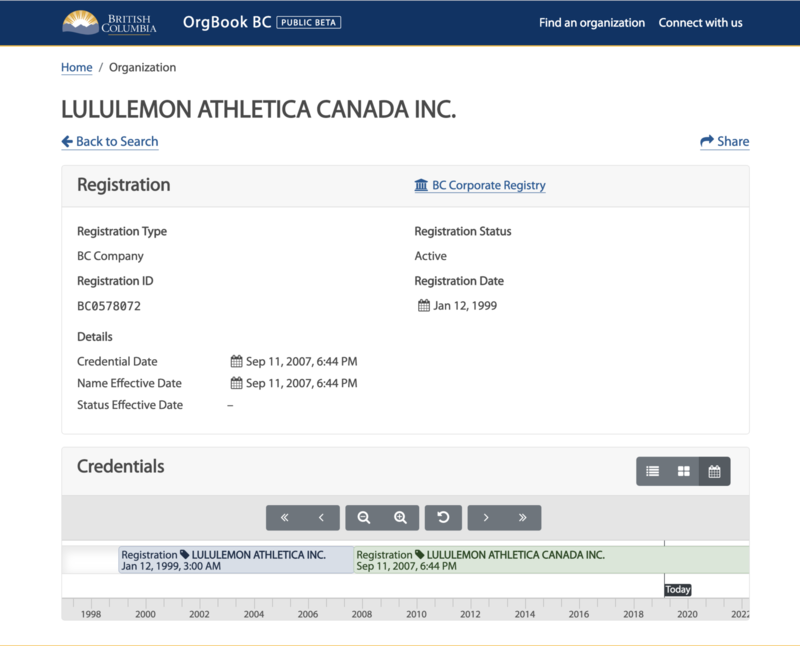 Today, anyone can use OrgBook BC to quickly verify if an organization is legally registered to do business in BC as a corporation. You can also find “Doing Business as” names registered by corporations.